Following are Indianapolis Historic Preservation Commission actions taken at full commission hearings and administrative hearings since publication of the previous issue of Urban Times. The commission meets the first Wednesday of each month. Administrative hearings, with an IHPC staff member serving as hearing officer, are scheduled every Tuesday. Approval for projects generally comes in the form of Certificates of Appropriateness. ο Jason Wolfe received approval to build a single-family house with detached two-car garage at 818 Oriental St., and to rezone the site from an industrial to a residential designation. The house will feature a very traditional cross-gable design with a stick-style influence, using smooth Hardie plank siding with a four-inch reveal. ο A petition by Isabel Espinoza Every to demolish the house at 544 N. Highland St. was continued to Feb. 7 without debate and at the petitioner’s request. ο A petition by Kurt Flock to build a three-car garage and construct a rear deck on the house at 2016 N. New Jersey St. was continued to Feb. 7 without debate and at the petitioner’s request. The petition includes a variance for less open space than required. 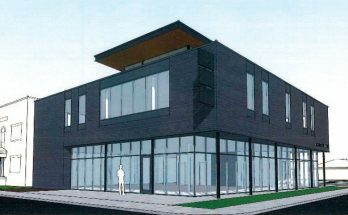 ο Trade Design Studio received approval to build a rear addition at 1827 N. Alabama St., along with a variance to allow less open space than required. ο Mark Demerly was granted approval to build a rear two-story porch at 1606 N. New Jersey St., along with a three-car carriage house. The approval includes removing a chimney on the north side of the house and altering the porch and openings. The approval includes variances for less open space than required and to exceed the maximum square footage of an allowed secondary dwelling unit. ο Sean Rapp was granted approval to build a two-story single-family house and detached two-car garage at 2038 N. New Jersey St. The house features traditional massing and a mix of traditional and contemporary details with smooth-finish-fiber-cement lap siding on the first floor and board-and-batten panels on the second floor. The front façade has a full-width porch and pediment over entry stairs. Looking Glass Inn at 1319 N. New Jersey St., which has seven rooms. The Inn at the Villa at 1456 N. Delaware St., which has 12 rooms and one caretaker’s quarters, a dining room and a day spa (if four rooms are eliminated). The Stone Soup Inn at 1304 N. Central Ave., which has 10 rooms. All of the properties exceed the number of rooms allowed for a bed-and-breakfast, requiring the new variance as hotels. That category also does not require an on-site full-time resident. ο A petition by David Kingen to install an exterior fire escape at 1340 N. Park Ave. was continued. ο Patrick Stroup was granted approval to build a single-family house with detached three-car garage with living space at 1426 Carrollton Ave. The house features traditional form and styling with horizontal smooth-finish fiber-cement siding and decorative shingles in the gable ends. The house has a dual gable front with a shed roof porch with pedimented entry. The carriage house is designed to reflect the house’s architecture. ο A petition by Whitney Parkinson to build a single-family house at 509 E. 11th St. failed for a second time to gain IHPC approval. Opposition by the Chatham Arch Neighborhood Association included the front-facing garage which the association fears will result in cars obstructing the sidewalk, along with the elimination of curbside parking. Others, including commissioners, were concerned that the 2½-story house has too much bulk for such a small lot. The petition was continued. ο Reagan L. Justice received approval to make significant changes to the historic house at 629 E. 9th St., remove the existing garage and replace with a two-car garage, and increase the roof height. The petition was heard at the Dec. 6 hearing, at which time concerns arose about several of the changes. Modifications since that hearing were a lowering of the roofline and elimination of a rooftop deck on the new garage. IHPC staff endorsed the heightening of the second floor, which now has only a six-foot ceiling. A new addition over the top of the deck at the back of the house would be set back 20.5 feet from the front of the porch. 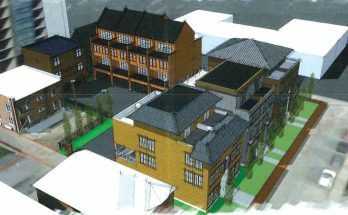 Prior to the Dec. 6 hearing, the Urban Design Committee of the Chatham Arch Neighborhood Association had voted against the project, with concerns including that the proposed changes “swallow up the original house,” an opinion also voiced by commissioner James T. Kienle. 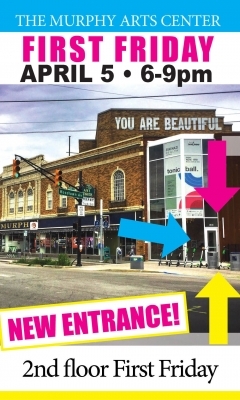 ο Alan P. Hogan was granted approval to build a two-car garage with studio space above and connector to house at 661 E. 9th St. 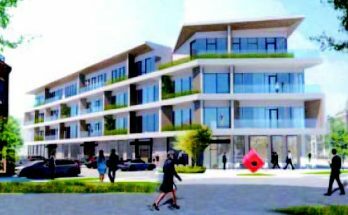 The approval includes variances to allow construction within a clear-sight triangle and for less open space than required. ο Laura Ann Arnold was granted approval to install solar panels on the south- and west-facing sides of the roof at 545 E. 11th St.
ο Lisa E. Harris was granted approval to add two dormers on existing garage at 735 N. Park Ave.
ο Patrick Heitz was granted approval to install an exhaust hood on the Vermont. Street elevation at 401 Mass Ave., the former Old Point tavern. ο A petition by Raul Rosa to retain fiber-cement siding, altered trim and redesigned porch at 1049 S. State St., all installed without approval, was dismissed.